This year’s Career Fair will take place on Thursday, March 8 from 10 a.m. to 5 p.m. in the Main Sports Hall. Representatives from 41 companies and institutions will be on hand to meet Bilkent students and provide information about their recruitment policies. 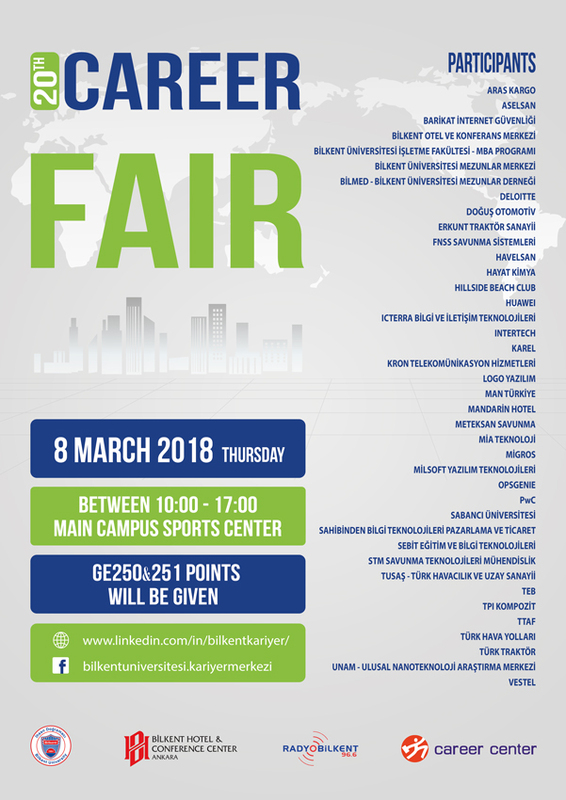 This is a perfect opportunity for Bilkenters to get a better idea of what their future may look like by talking directly to executives and managers from a variety of sectors, including defense, software, tourism, auditing, information technologies, banking and finance, retail and marketing, automotive, transportation, logistics, and education. And if you’re looking for an internship, this event is an excellent place to explore the possibilities.